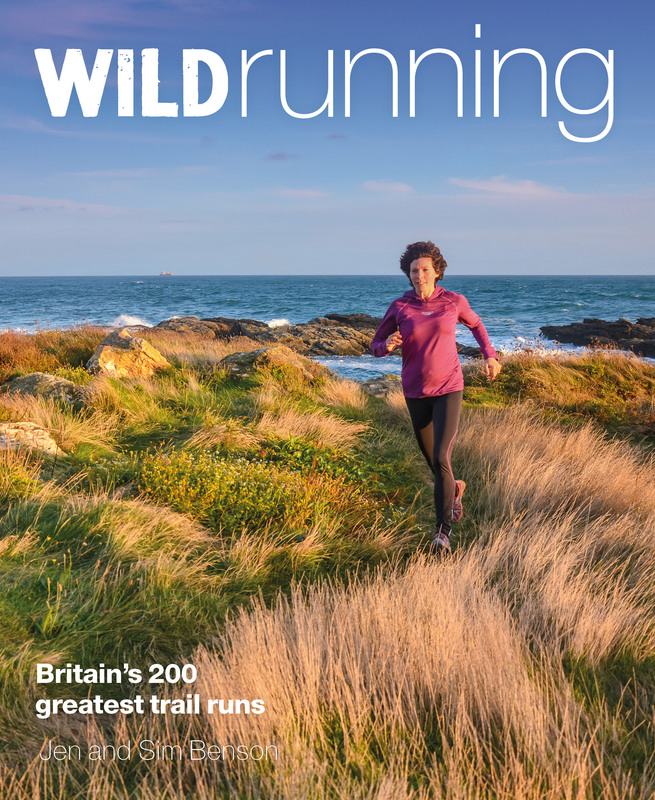 I’ve been lucky enough to test a couple of Under Armour products for Trail Running Magazine over the last few months. I’ve continued to wear and test the tops that featured and I’ve also got an extra compression vest that didn’t go in the magazine. I’ve never used Under Armour products before this so I came into the test with an open mind to the brand. 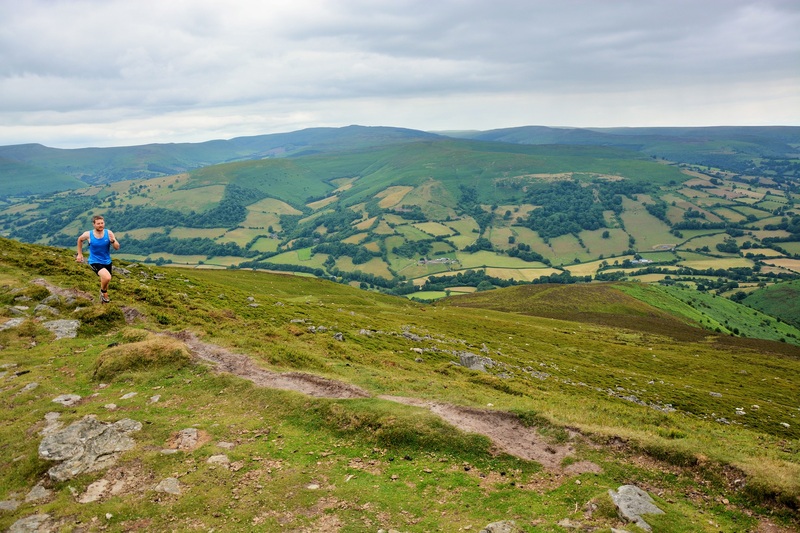 My first impression was that they offer great value; you can easily spend twice as much on a compression top, but they are still technical and interesting. They also look great and come in lots of colour choices which is unusual for technical gear. 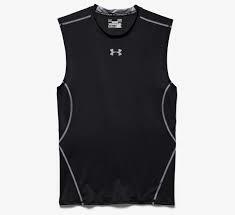 The Under Armour Coldblack® range is designed to be used in hot sunny conditions. The polyester material has a shiny coating that is supposed to reflect the suns heat and keep you cooler. This means that darker colours can be used whilst performing similarly to light colours in untreated fabrics, and Coldblack® light colours are very efficient at keeping you cool. This is a loose-fitting polyester running vest made from the Coldblack® material described above. 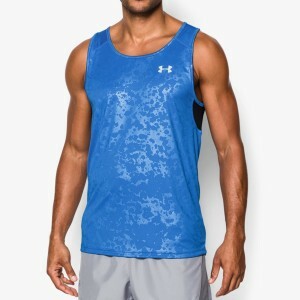 As well as using a high-performing fabric to help keep you cool while running in the sun it’s also well-designed for this purpose: it has under-arm mesh, an anti-microbial treatment and reflective details. In my experience most vests with this level of detail cost at least £30, so this is priced very well. In practice I have found this really great to run in and one of the best vests to wear when it is really hot. The cut is loose and allows a lot of airflow but it doesn’t flap and wasn’t annoyingly loose. It’s hard to say how well the reflective fabric works but I tested a nice dark blue colour which I would normally expect to feel quite hot and it didn’t. A really great running vest that excels in hot weather! 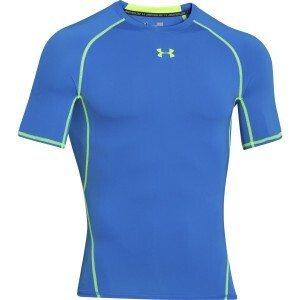 The Under Armour HeatGear® range is designed to be used in hot weather. It’s supposed to wick sweat away from the skin and transport it quickly to the outside of the fabric where it can evaporate away. The following two items both use the same fabric and technology; the main difference is that one has short sleeves and one is a tank top but I did find that they felt different to wear and run in so I’ve reviewed them separately below. This top is light compression wear so it fits snugly. It isn’t tight like some compression tops are and I’ve never found it gets uncomfortable even after several hours of use. The added compression gives a nice supportive feeling. When I first put it on I felt that the neck line was a bit restrictive, but I found that it only took a few seconds to get used to this and I never felt it while out running. I also found that after a couple of runs I didn’t notice it at all. If you try it on it’s probably worth wearing it for a few minutes to get used to it. I’ve run in this on its own and as the base of a layering system and found it very comfortable. The fabric is stretchy and wicks well and although it is hotter than the Coldblack® run singlet it does feel surprisingly good to run in. The sleeveless cut looks good and feels nice to wear and run in. I particularly like this vest when I need to carry a bag or a race vest because of the wide shoulders and tight fit. It does have a shoulder seam but it’s quite flat and I don’t feel it in use. I also found it great as a base layer – it adds quite a lot of warmth without much weight or bulk and worked really well under a long sleeved looser fitting base layer and a wind proof. Great on its own especially if you want to carry a bag, amazing as the base of a layering system in colder weather. This top looks really good (assuming you like the tight fit) and comes in lots of different colours which is a nice change to the normal options you get with technical clothing. It’s also a bit of a bargain: £25 for a technical base layer top that fits well and features some compression is really great. The compression isn’t too severe; it feels supportive but not as tight as some of the Salomon or Skins tops I’ve worn in the past. It’s actually a nice tightness to wear for a longer race or a longer day’s training. The tight fit means it is very comfortable as a base layer with a windproof over the top. I did find that in some loose shorts the top rode up a little bit but not with tight shorts or if I tucked it in. I initially found the neck a bit tight on the sleeveless version but I didn’t get that at all on the short sleeve version; it was really comfortable straight away. The fabric wicks well and dries quickly and generally works well as a stand-alone top or as a base layer. 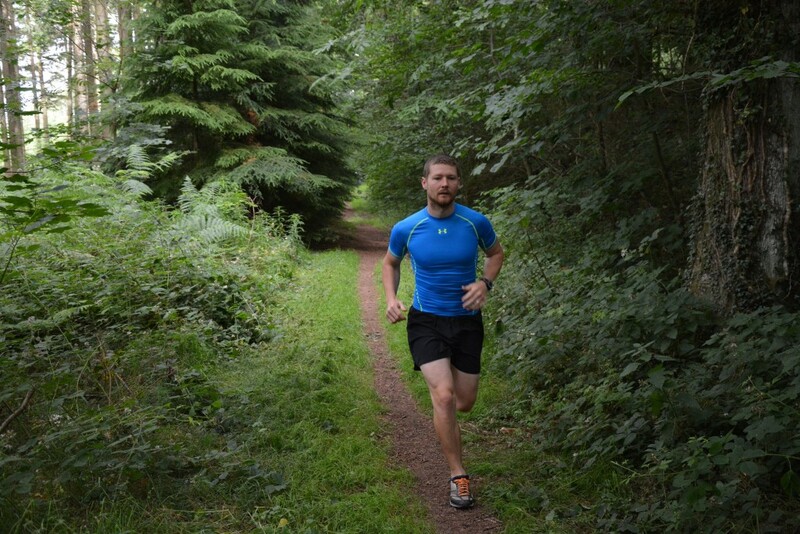 Great value, good-looking compression base layer. Race to the Tower: One week to go!